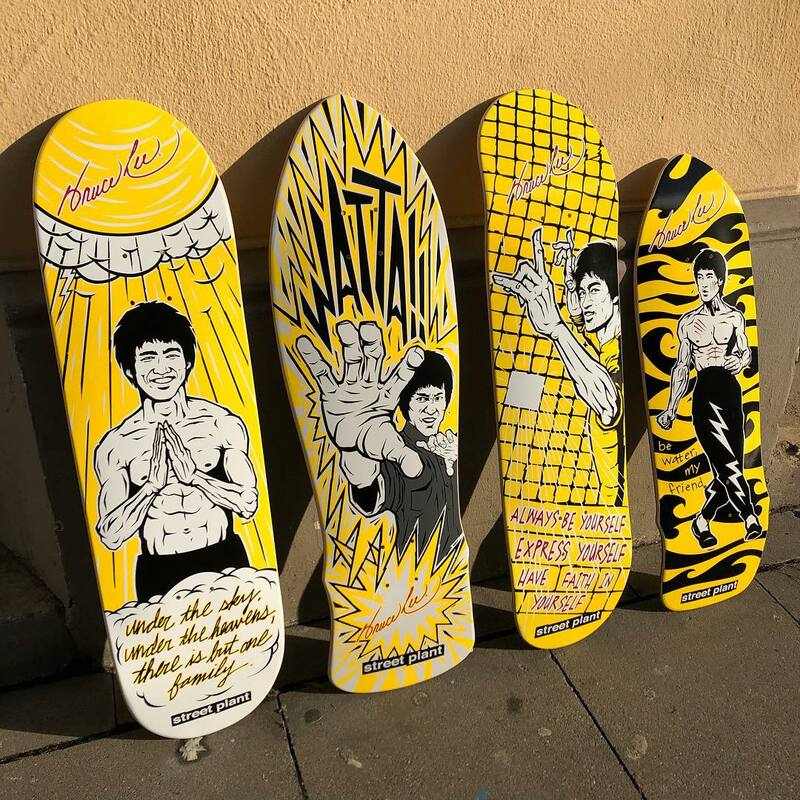 Foto: Bruce Lee Street Plant Boards vor unserem Concretewave Skateshop Cologne. Bruce Lee was a Real-Life Superhero. Not only was He a Pioneering Martial Artist, Movie Star and Philosopher, but He was also a Family Man, Poet, Scientist, Choreographer, Director and Producer — a Renaissance Man, a True Artist of Life. A Cultural Icon, Bruce Lee remains a Teacher, as well as a Champion of Truth, Self-Expression and Equality. Bruce Lee Lives!. 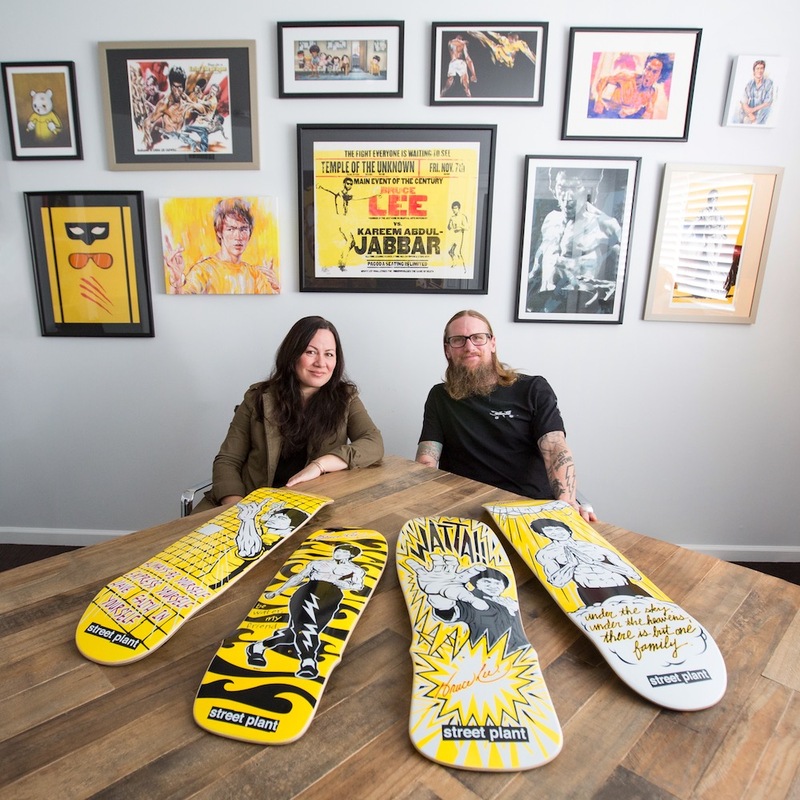 Collaborating with Bruce’s Daughter Shannon and the Bruce Lee Family Company to Produce Bruce Lee x Street Plant Skateboards is a Great Honor! We have Approached these Boards with the Greatest Respect for Bruce Lee’s Legacy, and with Love for The Man and His Core Ideas of Simplicity, Directness and Personal Freedom. Featuring Original Art By Greg Higgins, our Bruce Lee Boards Bring To Life Iconic Images of The Dragon and Focus on His Inspirational and Uplifting Philosophies. Neu im Shop sind unter anderem auch scoundrel und Joey Jett Rollen, das Trident Deck, Jerry Garcia Decks und ein ganzer Schwung mehr streetplantbrand stuff!